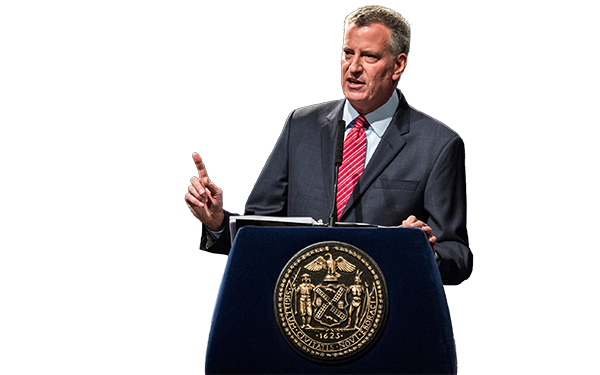 New York City Mayor Bill de Blasio outlines his vision for New York City schools at Bronx Latin School on September 16, 2015 in the Bronx borough of New York City. This excerpt from Campbell Brown's speech to the New York State Business Council originally appeared in the New York Post. Mayor de Blasio announced a number of worthy education initiatives on Wednesday — expanding computer-science programming, increasing college readiness and pledging that every child will read at grade level by third grade.